Home construction and renovation is a big investment. It costs time, money, and a lot of effort on your part. Roofing is one of the most important parts of home repair. To get value for your money, you need to know what distinguishes a bad roofing job from a good one. Aside from checking if your investment was worth it, knowing the signs of a bad roofing job will also get you to act on it much quicker. Roofing problems tend to worsen over time, leading to intense and even more expensive structural damages, so solving the problems as soon as possible is essential. Even if you aren’t an expert or professional construction worker, you can easily spot danger signs and points of future repair. To get started, here are some signs of a bad roofing job. Storms can easily do a lot of damage on your roof. 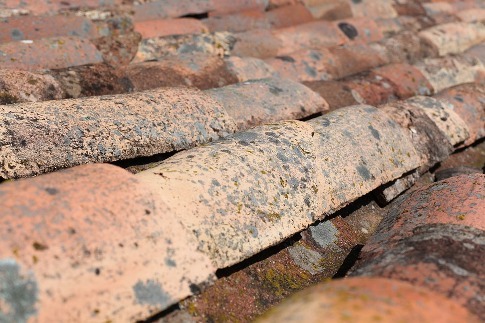 Strong winds and falling debris from weather events can loosen shingles and crack some roofing tiles. However, there is a problem if your roof constantly suffers from missing or damaged shingles. You can easily assess this by comparing your roof with your neighbors’. If the roof of your neighbors are still intact while yours is already missing teeth, the problem is probably in the installation of the roofing tiles. You don’t need to wait for a storm to check if the shingles are installed properly. Three-tab shingles should be lined up vertically by their slots. The tiles should also be arranged straight along the horizontal plane. This is a sign you can easily inspect visually. This sign requires a more up-close look to check. The underlayment is a paper-like or felt-like material that provides a waterproofing barrier underneath the shingles. Mold, water buildup, and structural damage can all occur without the underlayment. One of the biggest roles of your roof is to protect your home from rain, leaks, and other potential sources of damage. You know the roofing job was a bad and unprofessional one if your newly maintained house already has water damage. Go up to your attic or top floor and check for stains on the ceiling and signs of structural damage. If you see signs of a bad roofing job, it’s important to contact a professional roofing and construction team right away. Choose a reliable and efficient company that knows how to value your money and your time.